Candida and probiotics are a confusing topic for many people who are unaware of how these two may interact. There is a lot of misinformation on this topic on the Internet. You and I can both make better decisions when we better understand how and when to use probiotics for fungal candida infections. Let’s take a look! Candida normally exists as a yeast in the body and can serve a beneficial role in this form. Upon exposure to antibiotics, it will convert to its fungal form and play a role in diseases and various conditions. This antibiotic-induced conversion process happens by way of at least 11 different mechanisms. Candida can develop in as little as 5 to 48 hours after taking antibiotics. As antibiotics destroy over 100 trillion bacteria within 5 to 7 days, it would seem that taking probiotics loaded with beneficial bacteria would be good to do. Not all bacteria are able to regrow in the body while fungal candida is present. 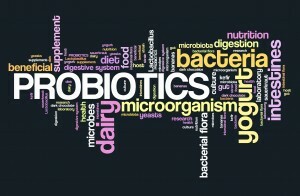 Probiotics can do many amazing things in the body. 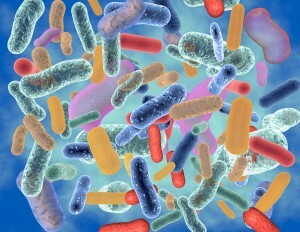 These beneficial strains of bacteria are truly the nursemaids of the body. They do everything from helping with digestion to developing healthy immune responses and ensuring the survival of the human race. Most of what we know about this amazing ecosystem of the body has been driven by decades of research on bacteria. Only now as we learn more about the entire microbiome, as this ecosystem is called, do we understand the role of fungus, viruses, mycoplasms, and other residents of the world within us. The majority of bacterial strains present in probiotics are the Lactobacillus strains, with some fewer in number Bifidobactieria, and the occasional yeast. This also holds true for fermented foods, as they typically are high in Lactobacillus species, as well. Among other things, these species have the ability to regulate the pH by releasing acids that control candida. Research has shown us that the Lactobacillus bacterial species that help to control and regulate candida in the body in its yeast form, have difficulty recolonizing the tissues of the body after antibiotics. This effect is caused by fungal candida, as fungal candida prevents these bacteria from setting up residency within us. University of Michigan Medical School researchers found that after antibiotic use, “the presence of C. albicans resulted in a long-term reduction in Lactobacillus spp. and promoted Enterococcus faecalis populations.” An earlier study by the same group of researchers found that following antibiotic use, “C. albicans can prevent the regrowth of Lactobacillus spp. “. Not only do we see fungal candida inhibiting the Lactobacillus species, but we also see how it promotes the growth E. faecalis, a bacteria that promotes more fungal candida growth. E. faecalis can cause life-threatening infections, meningitis, urinary tract infections, and dental problems. This is a very typical issue in the post-antibiotic environment. Knowing how candida and probiotics interact, we know that to successfully use probiotics and realize their many benefits, we must correct fungal candida first. 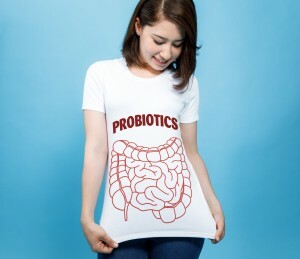 Only then will we realize all the benefits of probiotics and create long-term changes that help to restore the integrity of the ecosystem within us. If we use probiotics prior to this, we may see some short-lived improvement, but fail to create lasting changes. Probiotics have great potential, but only by understanding how candida and probiotics affect each other will we successfully reverse the disease-causing effects of antibiotic use.